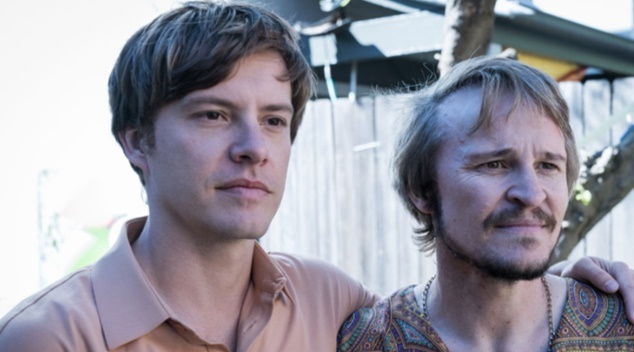 As we approach the 40th anniversary of the Sydney Gay and Lesbian Mardi Gras, ABC will take us back to where it all began with their original telemovie RIOT. Four decades of glitter and celebration didn’t have such simple beginnings, when years of discrimination and oppression came to a head in 1978 when police and the LGBTI+ community clashed on the streets of Sydney. We caught up with Damon Herriman, who plays one of the original creators of the festival Lance Gowland, to find out what he learned filming the recreation of the events leading up to that fateful day. “When doing the research I was shocked by the incredible amount of violence towards the LGBTQ community, not that there isn’t violence now but it was far more prevalent. Herriman tells us he was surprised by how far Australia has come in the last 40 years, and is honoured to be able to pay tribute to those who have been there since the beginning – including activists Peter de Waal and his partner Peter “Bon” Bonsall-Boone, who sadly passed last year. “You see in the show that Peter de Waal and Bon were featured on a current affairs program in the early ’70s and shared the first gay kiss on TV. It was such a brave thing to do and the majority of the LGBT community were keeping their love a secret. RIOT airs on ABC TV February 25th at 8:30pm, and will be available on ABC iView.